The Barry and Mary Ann MacLean Fund for Art & Engineering and the James F. and Mary L. Gibbons Art and Technology Fund along with Northwestern University’s Materials Research Center (DMR-1121262), International Institute for Nanotechnology, and The Graduate School. In examining the life of one of history’s most prominent scientists, A Life of Galileo examines the struggle between unchanging worldviews and evolving scientific knowledge. In the 17th century Venetian Republic, professor and scientist Galileo Galilei hears about a new invention – the telescope – and creates one of his own. While the new tool unlocks a universe of planets, moons, and a heliocentric model of our solar system, it also leads to a new view that runs counter to the powerful Roman Catholic Church. Under interrogation, Galileo is forced to decide between standing by his discoveries and undergoing torture, or recanting his work and saving himself and his family from personal ruin. Tom McElroy (Galileo) is enjoying a wonderful year of theatre. First Playing Henry in the World Premiere of Stephanie Walker's The Art of Disappearing at 16th Street Theater followed by bringing home the actual words of a Vietnam veteran in Veteran's Voices with Erasing the Distance and now the joy of bringing to life and remembrance, Galileo. 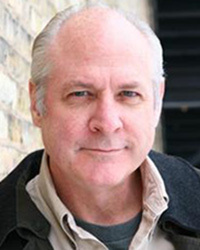 Other Chicago stage credits include Provision Theatre (P. B. Frank in Christmas On The Air), Chicago Shakespeare (Montague and Capulet in Romeo & Juliet), Timeline Theatre (William Crocker in The Farnsworth Invention- Jeff Award), Marcus Hubbard in Another Part Of The Forest at Eclipse Theatre (Jeff Award) as well as The Goodman, Steppenwolf, Court, Next, Red Twist, A Red Orchid, and many more. Regional credits include: Van Helsing in Dracula (IRT and The Geva) and most recently Frank in Weekend Comedy (New Theater Restaurant and The Alhambra). Film work includes: The Dark Knight, What If..., Contagion, Southside With You and many independent features, shorts, and industrials. On Television, Early Edition, Prison Break, The Chicago Code, Chicago Fire, and most recently The Secret Santa on TLC. Tom voiced Rayford Steele in the Left Behind Dramatic Audio Series (144 episodes) and multiple characters in The Twilight Zone, The New Adventures Of Mickey Spillane's Mike Hammer and Unshackled radio dramas. Tom is a proud member of Actor's Equity. 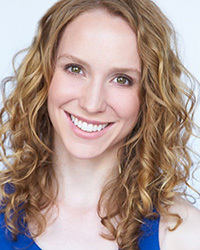 Laura graduated from the College of Santa Fe with a BFA in theatre, and has since worked with several theatres in Chicago, including Profiles, The Black Ensemble, Step Up Productions, The Poor Theatre, Polarity Ensemble, Redmoon Theatre, LiveWire Chicago, and Piccolo Theatre. She is represented by Big Mouth Talent. She is so excited to be a part of ETOPiA's production of A Life of Galileo, and to be able to work with such an incredible group of people. Michael is thrilled to be making his debut with Etopia. Fairly new to Chicago, he has performed in New York, San Francisco and Minneapolis. Other Chicago Credits: A Christmas Carol (Drury Lane Oakbrook). Off-Broadway Credits: Of Mice and Men, As You Like It (The Acting Company). Regional Credits: West Side Story (The Western Stage), Romeo and Juliet (Public Theater of Minnesota), Golden Age (The Guthrie). Training: University of Minnesota/Guthrie BFA Actor Training Program, San Francisco High School of the Arts. 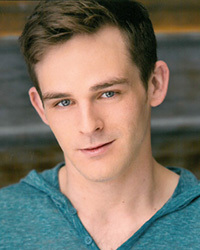 Brian Bell is a stage director and performer based in Berlin. From 2013-2015 he was the assistant to the artistic director at the German National Theater in Weimar. 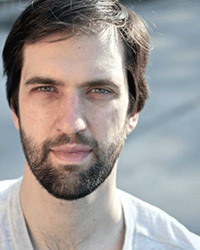 In addition to assistant directing and producing a cabaret series, he made his directorial debut at the national theater with Tracy Letts’ Killer Joe in 2014, which was taken into the repertoire for the 2015/16 season. From 2006-2012 he lived in Chicago where he was the artistic director of Cabaret Vagabond and an ensemble member at Adventure Stage. Brian is a Goethe Institut directing fellow, and an alumnus of the International Forum in Berlin. In 2012 he was the Step 8 Director in Residence at the English Theatre Berlin as well as having devised and performed in Projekt G: A Theatrical Investigation of Happiness, in Tokyo & Fukushima. His production of KING, a devised piece based on the works of Stephen King with Peng!Palast in Switzerland, has been on tour in central Europe since 2013.